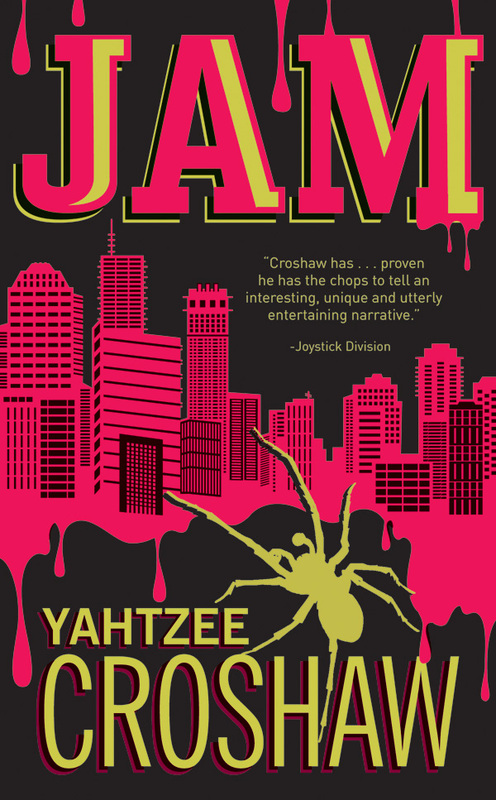 Yahtzee Croshaw Returns With Jam! FULL CHAPTER PREVIEW TO BE FEATURED IN THE DIGITAL EDITION OF HIS PREVIOUS NOVEL, MOGWORLD! The creator of The Escapist’s Zero Punctuation Reviews (TM) and author of 2010’s runaway hit novel Mogworld is back with his hilarious follow-up! Jamtakes the prophecies of the Mayans and turns them on their ear, with a twist on the apocalypse that no one could have expected! The first chapter will run in the newly released digital edition of Mogworld, available today for Nook and Kobo eReaders. Since 2007, Croshaw’s animated Zero Punctuation reviews have packaged prescient criticism with frenetic animation, off-color humor, and rapid-fire delivery, making him a household name in the gaming community. Mogworld was his first foray into published fiction and has sold through multiple printings! Now, the debut novel finally makes it’s way to tablet readers, marking the beginning of Dark Horse’s foray into digital prose! Additionally, readers will have a chance to get their first look at Jam, which is set for release later this year. Jam, a dark comedy pitting a handful of twenty-something slackers against a singularly sticky apocalypse, which is set for release later this year. Mogworld is available today for both Barnes & Noble’s NOOK™, as well as the Kobo Vox eReader. Jam arrives on sale on October 10, in print as well as digitally. 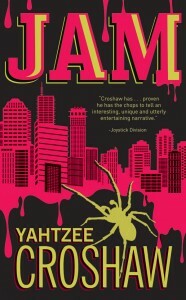 Posted on April 24, 2012 April 24, 2012 Author Anthony DavisCategories Comics, NewsTags dark horse, jam, preview, Yahtzee CroshawLeave a comment on Yahtzee Croshaw Returns With Jam! Dark horse is showing there appreciation to there fans, by having a three day sale on all comics, so if your missing some issues now’s the chance to catch up…. April 24, MILWAUKIE, OR—Dark Horse Digital reaches a new landmark, turning one year old this Friday. 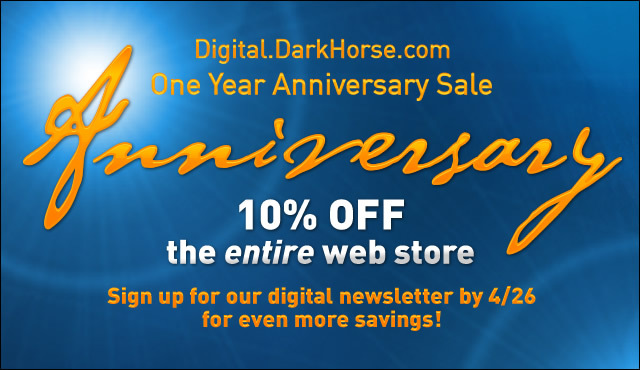 To thank our loyal fans, Dark Horse announces an anniversary appreciation discount. This weekend, Dark Horse Digital is offering 10% off all titles in the web store, with an additional coupon to newsletter subscribers and new subscribers who have signed up by this Thursday. And yes, the coupon stacks with an even greater discount off your order! The sale starts this Friday (April 27) and ends Sunday (April 29) at midnight PST—so head over to Dark Horse Digital and sign up for the Digital Newsletter to maximize your discount on some incredible comics. Dark Horse Comics launched its standalone comic-reader app and digital store on April 27, 2011 and has received incredible support from the continuously growing digital-comics fan base. Since then, Dark Horse Digital has grown significantly in numbers and readership featuring it’s most popular, best selling titles including Star Wars, Buffy, Serenity, Hellboy, Conan and Mass Effect as well as exclusive digital only comics such as Falling Skies, Prototype 2 & Dragon Age. Dark Horse Digital also provides sales and discounts for its reader base on a weekly basis. We currently offer thousands of comics and are continuing to increase the digital availability of the Dark Horse back catalog. Dark Horse Digital is available through all modern web browsers and features cloud storage in both the Android (beta) and iOS apps.